Wondering how to market with video without being in front of the camera? Have you thought about creating video from product and brand images you already have? In this article, you’ll find two affordable ways to create engaging videos for your business by repurposing visual assets you have on hand. 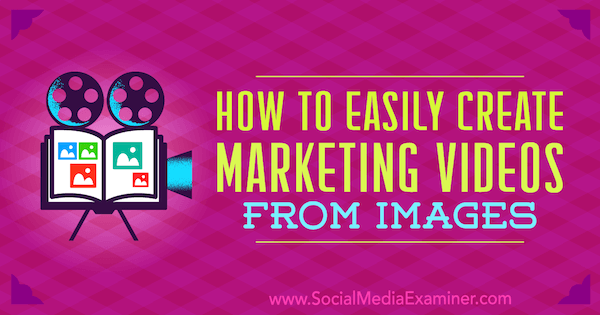 How to Easily Create Marketing Videos From Images by Erin Cell on Social Media Examiner. 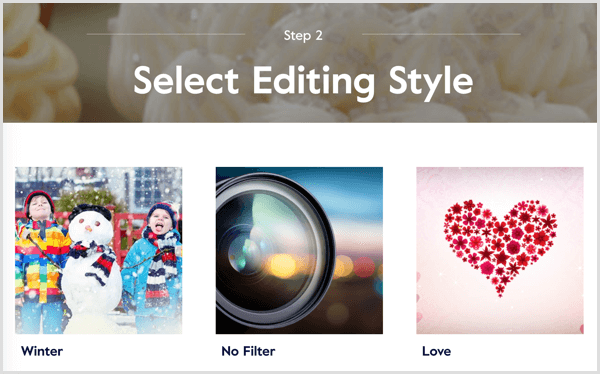 Animoto offers an easy way to turn your images into a visual marketing story. You simply choose the kind of video you want to create, pick a storyboard, upload images and music, and then share your video across your social media platforms, via email, or on your website. To get started, sign up for a free 14-day trial. After the trial period is over, you’ll need to upgrade to one of the paid plans. The most popular is the Professional plan for $22 per month (billed annually), which lets you remove the Animoto logo and add your own. 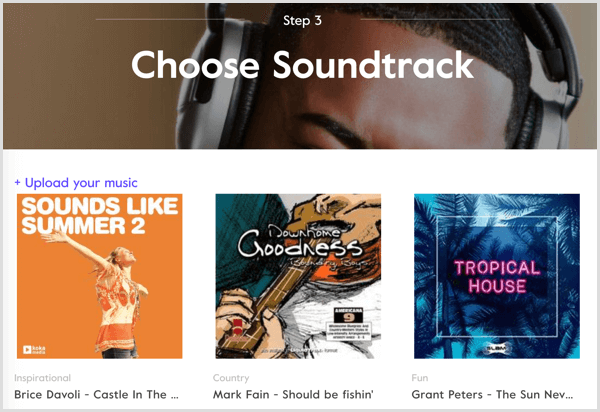 This plan also gives you access to commercially licensed music tracks, pre-built marketing storyboards, and customization. After you sign up, you can begin creating videos. First, decide what type of video you want to create. For business, choose the Marketing option, which lets you include branding and customization in your videos. Take a moment to watch the sample videos to preview the options available through Animoto and what kind of video might work best for your business. The next step is to decide whether to use a pre-built storyboard or start from scratch. You can start from scratch if you already have an idea of how you want your video to look; however, the storyboards are where Animoto really shines! 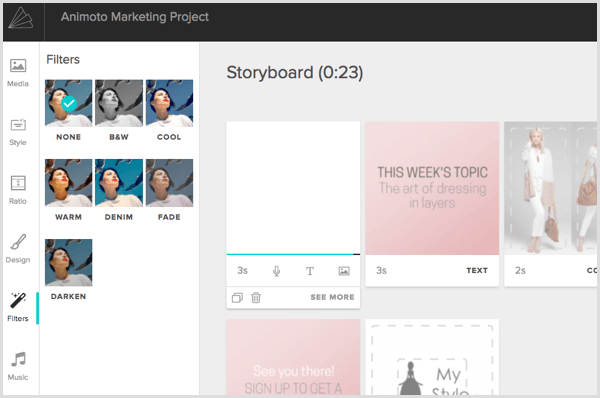 Animoto lets you customize, add, delete, and change video storyboards as needed to tell your marketing story. Currently, you can choose from more than 40 templates including About Us, Behind the Scenes, Content Teasers, Sales Promotions, Tutorials, and more. Each storyboard is made up of a number of images that remain on the screen for a few seconds. When creating your video from a template, you swap the images for your own and replace the text in the video with your own text. After you choose a storyboard, you’re ready to customize and build out your video story. Simply hover over each image to see icons that allow you to adjust the amount of time the image appears on the screen, record a voiceover, edit text, and upload a new image. Using the options in the left sidebar, you can upload pictures directly into the template or drag them into a media area and apply filters. Select Design in the left sidebar to change the format of the text and choose Ratio to change the aspect ratio. Landscape (16:9) is primarily for websites and YouTube, and Square (1:1) is ideal for Instagram and Facebook. You can also try different fonts and colors, apply filters, and choose background music. 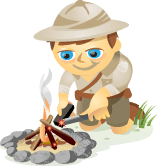 Animoto has a large library of songs (more than 2,000) to choose from. Pick a tune that fits your brand identity and style. When you’re finished designing your storyboard, click Preview to preview the video. If you’re happy with it, click Produce. It takes about a minute for it to be ready to share with the world. 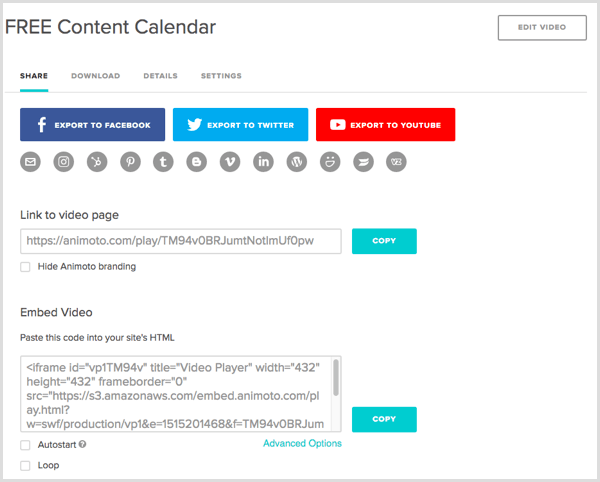 Animoto gives you the option to share your content via Facebook, Twitter, and YouTube (and more! ), link to the video, download it, or embed it on your website. While Animoto is a platform for both personal videos and business videos, Magisto places the emphasis firmly on marketing. With its AI technology, it creates a video for you automatically using the photos and video clips you upload. Magisto offers three levels of membership. You’ll most likely want to choose the Professional plan for $9.99/month, which lets you create professional videos and take advantage of the advanced editing features. It also allows you to upload your own images and footage, add your logo, and use Magisto’s commercially licensed music. Upgrading to the Business plan ($39.99/month) gives you access to more than 150,000 stock videos, additional marketing tools, analytics, and other features. After you sign up, you’ll need to upload your content. Magisto allows you to upload content manually, choose from their collection of stock images and video, or connect via Google Drive. 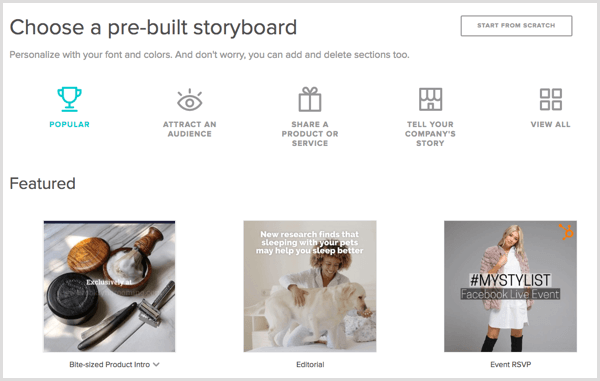 Unlike Animoto, you won’t be working to a storyboard, so you’ll need to know what kind of imagery and story will resonate with your audience. The amount of content you can upload varies depending on your subscription plan. The Premium plan lets you upload 60 photos and videos with a final video length of up to 2 minutes 30 seconds. With the Professional and Business plans, the uploads are unlimited, although the final video can be no longer than 5 and 10 minutes, respectively. However, keep in mind that people have brief attention spans so keep your videos short. The next step is to select an editing style that fits your business persona (professional, fun, inspirational, etc.). You can choose from more than 40 options based on seasons, type of business or video, target market, and branded styles. Do a quick preview of the styles to get an idea of what will work best for your business and the video you want to create. There’s even a choice for a Facebook ad (square). This video is optimized for Facebook advertising and allows you to add your logo and captions. 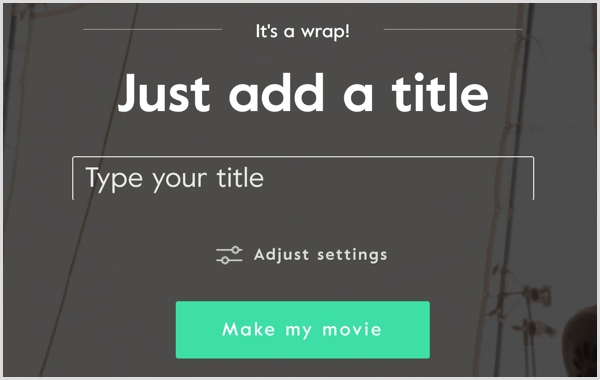 The last step to creating your video is to add a soundtrack and give it a title. Again, you’ll have a broad range of choices, which will become even broader as you move up the subscription levels. Unlike Animoto, there’s no guidance for choosing a suitable soundtrack to match your video’s style; however, Magisto also allows you to upload your own music or MP3. Music is important to any video (although many people on social media watch without sound). Make sure you pick music that fits the mood of the video. Lastly, give your video a title and adjust the length of the footage if needed. When you’re done, click Make My Movie and wait a few minutes for Magisto to create your video. If you have the Professional plan, you can then change the sequence of the content and add your own branding and captions. After your movie is finished processing, you can choose from several options for sharing your video, including embedding it on your website, sharing via social platforms or email, or sharing the link. Which Video Tool Is Best for Your Business? Animoto and Magisto are both easy to use, fairly low-cost, and offer a variety of options based on the type of video you want to create for your business. The main factors to consider are the end result you’re looking for; the video’s length; and editing, customization, and branding options. Both tools offer a free trial to take them for a test run to see which works best for your business. 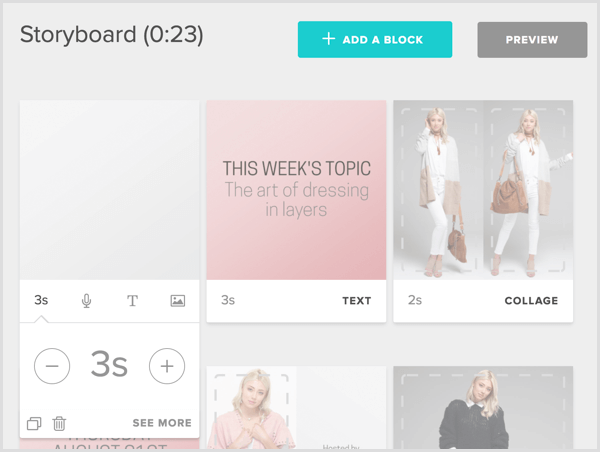 Animoto doesn’t require a credit card to get started, but Magisto does. 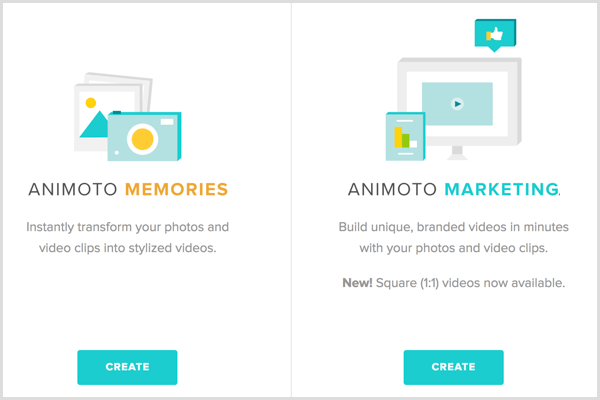 Animoto lets you edit a video after saving it, but it will replace the original video with any changes you’ve made. Magisto requires you to make a copy of the video to edit or change it after downloading. 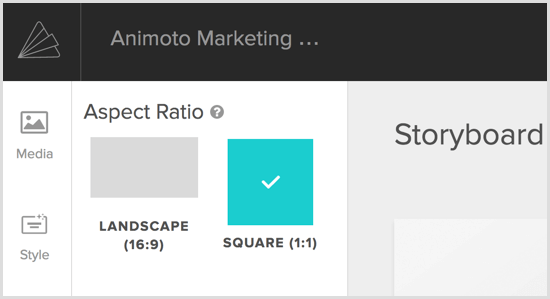 Animoto offers additional options for sharing and downloading your video, including social sharing (highly recommended if you want the chance to go viral). You can also include a call-to-action button with a link. 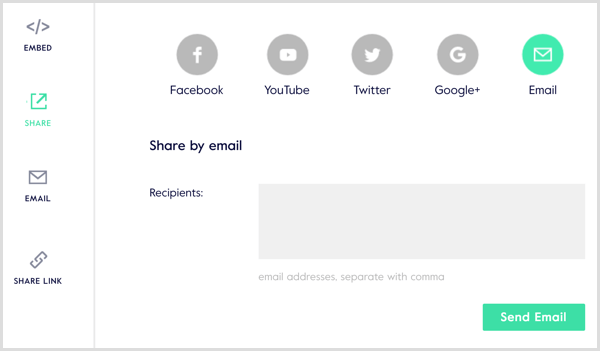 Social sharing with both Animoto and Magisto lets you connect Facebook, YouTube, and Twitter, embed on your website, and send via email. Each platform offers additional sharing options including Pinterest, Blogger, Tumblr, Vimeo, and more. Most small business owners understand the importance of video but don’t have the budget to hire someone to produce high-quality videos for them. This is where Animoto and Magisto come to the rescue. These tools let you create your own marketing videos in minutes for a reasonable price. What do you think? Have you tried either of these tools to create social media videos? Please share your thoughts in the comments below. Erin, founder of Socially Powered, is a social media strategist, consultant and speaker who is passionate about helping businesses understand the power of social media.